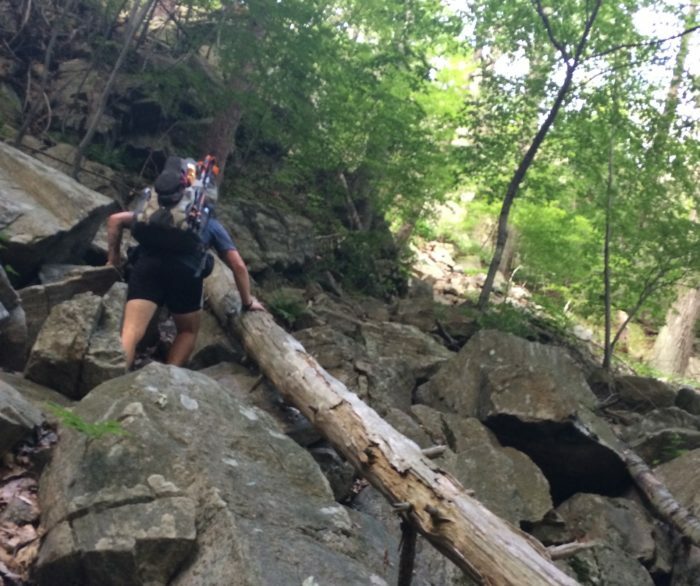 We were going to call this Worst Sections on the Appalachian Trail, but that didn’t seem fair. These sections have their merits… those merits might just be harder to find than on the more crowd-pleasing sections. 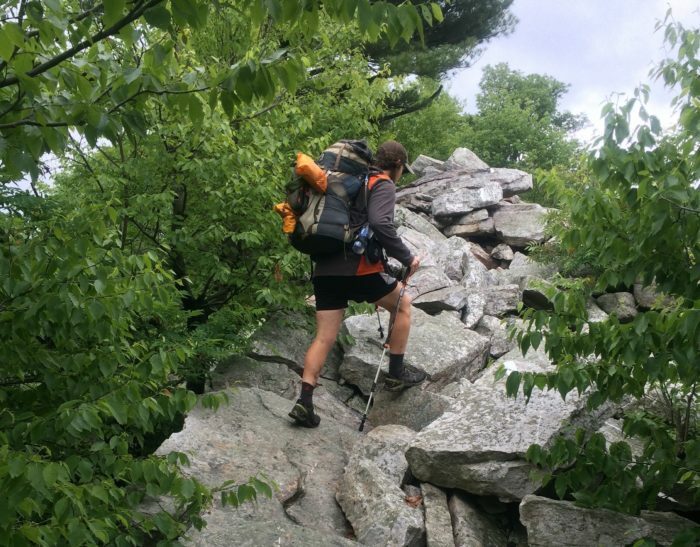 These sections have some overlap with our previous thru-hiker poll posts, so we’ve listed something to look forward to for each section to make it little less unbearable. Thru-hikers are a sunny, positive bunch, so there were only three sections in our survey that stood out to them as Not Very Fun. Entirely unsurprising in it’s number-one disliked status, this section of the AT doesn’t have a whole lot going for it. Most hikers hit this region in the dead heat of summer, complete with water shortages, gnats, a Superfund site, rattlesnakes, and demonic, ankle-rolling rocks for 100 miles. 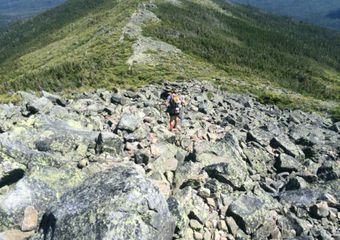 Some sections can be challenging in a fun way though, like the Wolf Rocks (pictured above). The towns through Pennsylvania are super welcoming and inexpensive. Palmerton, Wind Gap, and Delaware Water Gap are all easy to get to, and incredibly hospitable. And even if you don’t stay at the Doyle, you need to at least stop in and see what the fuss is about. No, this isn’t Northern PA. Just another rocky, crappy climb in NY with no summit view. Plethora of short, steep, annoying climbs that never break treeline. This section sneaks up on thru-hikers. It’s a weird combination of challenging terrain mixed with the mind-numbing irritation of many short, steep climbs that never break treeline. 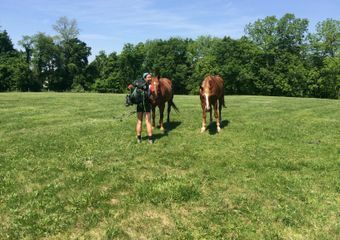 It’s also a critical point for NOBOs- they’ve been on the AT for over 1,300 miles, and haven’t hit the most final few states yet. It can be buggy, hot, and depending on the year, standing water creates dank pools for some of the worst sections of mosquitos on the trail. There is a lot of ready-made food to be found in New York. From delis at road crossings (look for Hot Dogs Plus at 17A by Greenwood Lake), to the Pringles vending machine at Bear Mountain State Park, hikers can pack out giant sandwiches to the shelter. New York pizzas are also no joke—Annabelle’s Pizza in Unionville is unforgettable. NOBO: Hit the WV/PA border at mile 1,064, and leave Southern PA at mile 1,147 by Duncannon. SOBO: Reach Southern PA after Duncannon at mile 1,042, and finish at the PA/MD border at mile 1,125. Flat and boring. Can be hot. 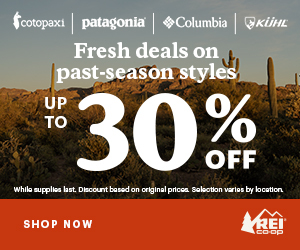 Just because a section is easy, it doesn’t mean thru-hikers will love it. They aren’t out there for an easy jaunt, and southern PA is easy but rather monotonous. The town of Boiling Springs (NOBO 1,121). The trail goes right through here, and it’s one of the friendliest towns on the AT. If you hit it at the right time, you could wind up eating burgers at a town-wide barbecue while listening to live music. The trail also passes Children’s Lake, an in-town body of water where kids play with remote-controlled boats and little ducklings swim by. It’s like something out of a storybook. That’s it, seriously. Our surveyed thru-hikers really liked every other section. And even though these aren’t the best the AT has to offer, they still have their perks. I appreciate all of the information you reveal about the AP. Trail. What is the age of the oldest woman to complete the trail? I agree with New York, and also agree about Annabelles Pizza! I’m not sure how many go there but it was the best pie on the trail. I will however disagree with PA. The southern part was just beautiful and the best trail towns of any state! 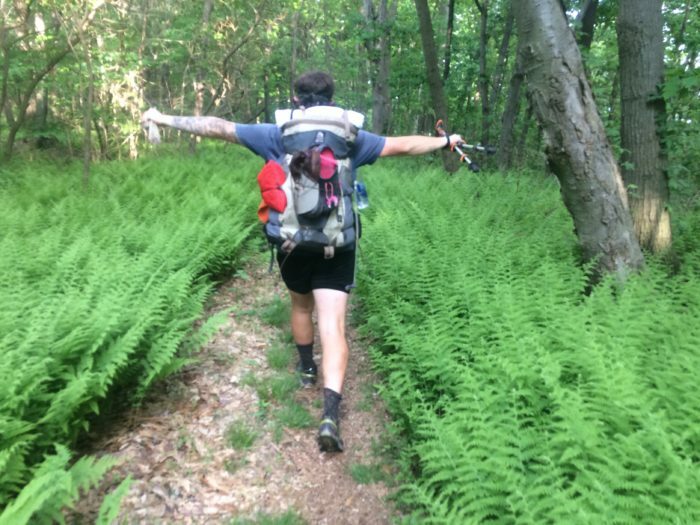 Southern PA was one of my favorite sections on the AT! I was sort of surprised to see it rank so low in our survey :). Boiling Springs was by far my favorite trail town too!